Lakhany winter shawls collection 2012-13 was revealed today. Included in this collection are high quality marino shawls for women. They are stitched and embroidered. The designs of the shawls in Lakhany winter shawls collection 2012-13 are quite feminine. The colors are neutral and will match many clothes in your winter wardrobe. The shawls are made according to the prevailing style in Pakistan. They are not only stylish but cozy in the cold winters as well. Thus, the shawls are simply irresistible. Lakhany winter shawls collection 2012-13 will surely appeal to all age groups. Lakhany Silk Mills or LSM started operating in Pakistan a long time ago. It is currently one of the top textile companies that we have in the country. It offers all kinds of fabrics for women. It offers lawn, chiffon, linen and more. It released various collections throughout the year. Recently, Lakhany winter collection 2012 was released. Its lawn is quite popular in the country. Women across Pakistan wait for the lawn collection of Lakhany every season. Apart from garments, it offers home textiles for women also. Its fabrics are available at fabric stores in many different cities of Pakistan. Lakhany winter shawls collection 2012-13 can be seen below. The pictures have been taken from the catalog released by LSM today. If you want any of the shawls, you need to go to a big fabric store near you. We are sure that you will like these nice embroidered shawls. For more details, you need to visit the website of LSM. The address of the website and other contact details are mentioned on the Facebook page of LSM fabrics. The address is below. 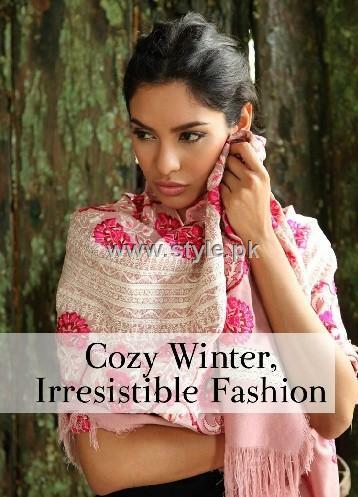 You can see more winter collections of Lakhany on Style.pk also. So, do check them out as well.